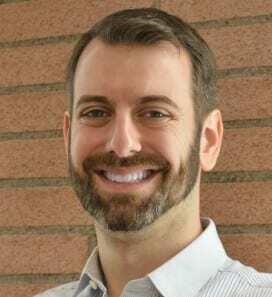 Zach Gassoumis, PhD, researches securing a basic quality of life for older adults, specifically within the areas of elder abuse, economic security, and the provision of health, social, and protective services. Much of his research involves an application of quantitative methodologies to large, population-based datasets. Along with his colleagues in the Secure Old Age lab, Gassoumis has identified the value added when the most severe cases of abuse and neglect are presented to an elder abuse multidisciplinary team, the elder abuse forensic center. Specifically, improvements were seen in perpetrator prosecution, victim protection, and reductions to short-term recurrence. Subsequent projects have analyzed cost-effectiveness of the forensic center model, cross-site differences across California’s forensic centers, and what characterizes the model as unique among elder abuse multidisciplinary teams nationwide. Other elder abuse projects have investigated the prevalence of abuse and forensic markers of abuse. Most recently, Gassoumis has been involved in the and the Adult Protective Services Technical Assistance Resource Center, which is developing a national APS evaluation study, providing technical assistance for APS agencies nationwide, and implementing the National Adult Maltreatment Reporting System (NAMRS). Gassoumis’ research on economic security has looked primarily at economic disparities between racial/ethnic and immigrant groups, specifically the intersection between immigration/naturalization and lifespan income and wealth. Gassoumis’ research also includes the provision of health and services in community (vs. institutional) settings, both through formal services and services provided by family caregivers. Funding for Gassoumis’ research projects has come from sources including federal (National Institute of Justice, Administration on Community Living, National Institute on Aging), state (California Department of Public Health, California Department of Social Services), foundation (Ford Foundation, the Archstone Foundation, The SCAN Foundation), and other non-profit entities (AARP).